Whether you’re starting a business or want to refresh your brand, installing a new sign can help you make a good first impression on your customer base. Our team will work with you designing, constructing and installing a great new sign for your business. Channel letter signs, LED signs and neon signs are just some of the options available to you. Parking lot lights are a great way for your company to announce its presence. Whether you are a retailer looking to keep good lighting throughout business hours or a restaurant trying to add ambiance to your property, Blue Diamond Signs can provide you with stylish lighting that meets your goals. What could have been a cutting edge sign for your business 20 years ago may be out of date today. With digital and vinyl printing, Blue Diamond Signs can retrofit your signs to give you a fresh image. No signs are too old for us to work with. The weather is one risk that can often damage your company signage. We have worked with a variety of rehabilitation projects to repair and restore signage. Additionally, because we have one of the best design teams in the area, we can restore your sign to exactly the way you want it. If you like your sign or commercial lighting, you should keep it. As a business recognized for quality by its Oklahoma City sign company competitors, we are happy to help repair and rewire any current signage. Create a fresh brand for your company and make announcements to the public with these signs. Whether on your lawn or wall of your business, Blue Diamond provides great cabinet box signs that help you express your message. Project a great image while saving money on electricity and light bulbs with LED signs. These classic designs still add style to your company’s front space. We provide neon design, installation and repair services. Our state of the art printing allows you to add signs to your store’s facade or billboard. 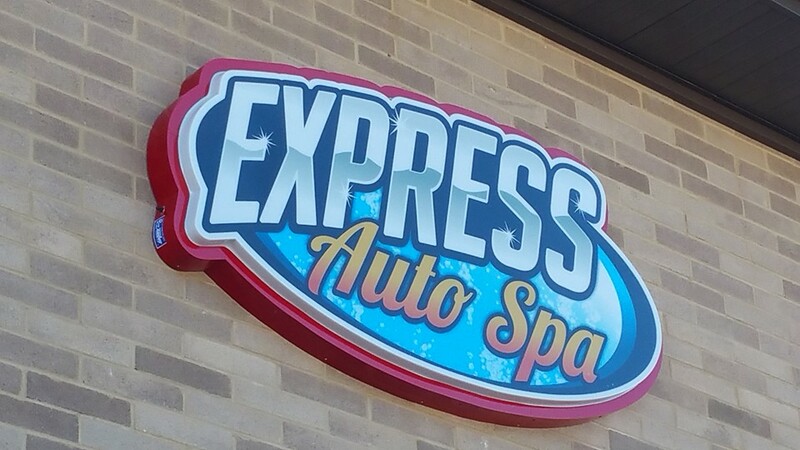 You’ll be surprised at what we can do with flex face company signage. We can help you keep you company signage looking brand new through repairs and maintenance. Our technicians are able to help you with a variety of billboard and pole sign needs. Feature your logo on your building’s awning with style. Our awning designs are state of the art and able to handle the weather well. We can help you feature your company’s logo across interior walls or design custom banners for events. With Blue Diamond Signs’ professional designers on your team, you can transform your company’s logo and branding efforts into a modern and succinct design. One of the most difficult challenges that small businesses face is getting their name out into the community they serve and establishing a reputation in that community. We understand that image is everything when it comes to marketing. Our team of representatives and designers help you create company signage that represents your small business roots while projecting the prestige of a large corporation. Part of providing our customers national quality branding is maintaining a national quality facility. Our 10,000 square foot facility allows us to maintain a large supply of materials and machines that help us create quality company signage. You won’t have to wait for work orders to be filled because we don’t have to wait for suppliers to provide us with material. With over 20 years of experience, our technicians uphold the highest standards of workmanship. Each sign we create features the attention to detail that you would expect from a national brand.